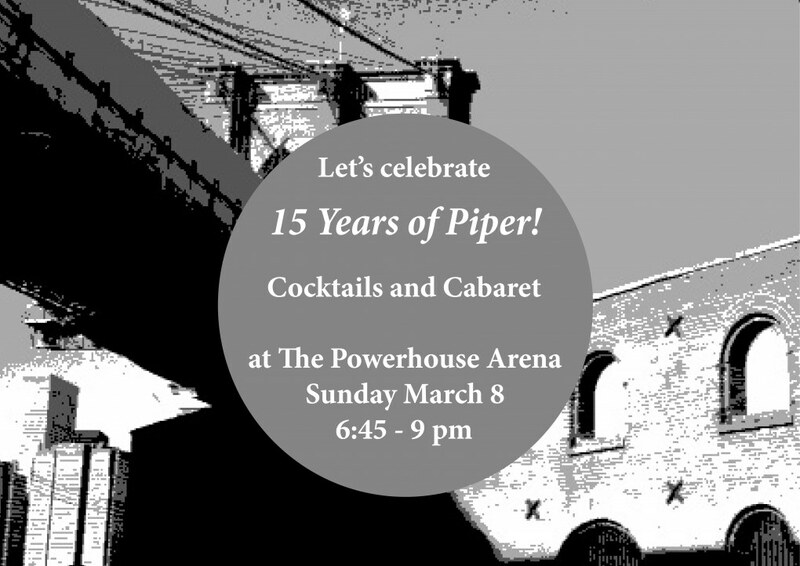 With performances by Piper’s spectacular family of actors and musicians in the fabulous event space at The Powerhouse Arena. Do you wonder who’s behind the Piper Theatre youth program costumes? Well, Dede Kavanagh is not only our resident costume designer but if you come to the gala, you’ll get to see a mother-daughter soft shoe with her daughter, Cornelia Silsbee. Nostalgic for Piper Summer 2010? Come to the gala to see the “Suddenly Seymour” duet reprised by none other than our original Seymour and Audrey – Evan Reiser and Samantha Brown. Wondering what our youth musical is this summer? It’s THE MUSIC MAN! Come to our gala for a sneak peek of a song from the show! It may or may not involve bow-ties, a barbershop quartet and Ryan Michele Woods singing her pregnant heart out. Can’t attend? Donate by mail to Piper Theatre Productions, PO Box 150613, Brooklyn, NY 11215 — or online here. All proceeds support Piper’s summer theatre programming. class="post-template-default single single-post postid-6340 single-format-standard samba_theme samba_left_nav samba_left_align samba_responsive tribe-no-js tribe-bar-is-disabled wpb-js-composer js-comp-ver-4.11.2.1 vc_responsive"